There is a new phone app coming to town and this one is for the fans of The Walking Dead. 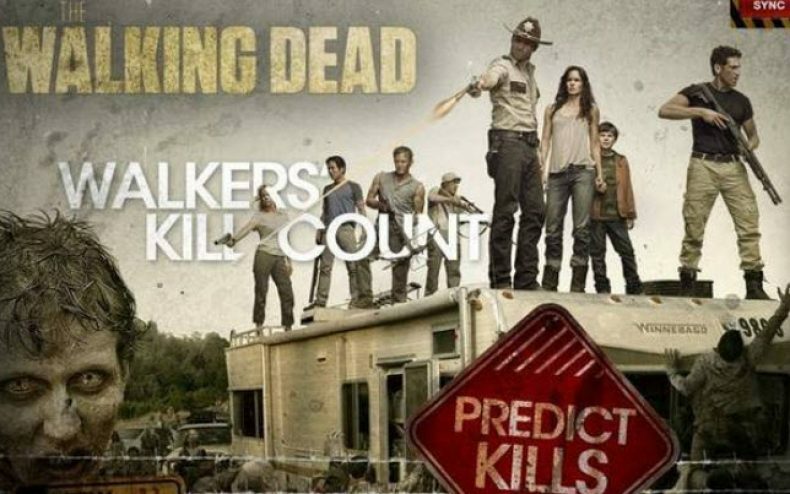 The app will allow fans to predict the number of zombie kills for the upcoming episodes and then allow them to submit their results to Facebook and Twitter. 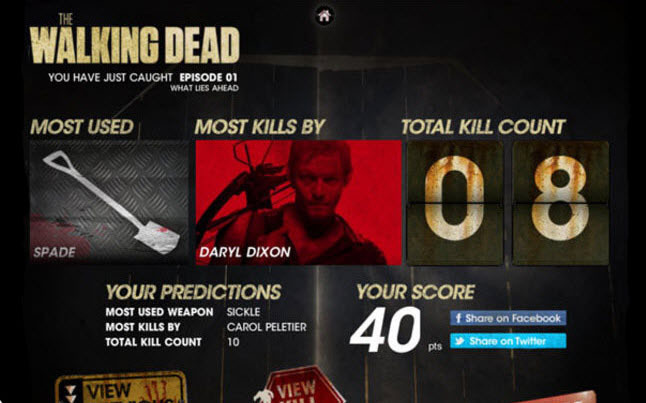 Fans can also re-watch their favorite zombie kills by character along with the weapon used, and the app will be free to download according to Digital Spy. The phone app will be developed by Rich Bee Media that happens to be a British media company who is developing it for the FX UK show, and will be launched in time for the UK premiere. It will be available for the iPhone and iPad, but we can expect it to be available for Android as well. “We are proud to work with FX UK to deliver this cutting-edge, first of its kind, second screen experience to consumers across the UK,” said Bill Patrizio, chief executive of Red Bee Media. “It is now widely acknowledged that multi-tasking in front of the TV is increasingly commonplace and research tells us that 60% of people in the UK concurrently watch TV and go online at least two or three times a week. The Walking Dead will be premiering in a matter of weeks so the phone app should be available soon for everyone to download and to enjoy.